As a doctor, one of my pet peeves from my patients, friends, and family is when I learn that they’ve stopped taking medication because they didn’t “feel like taking it anymore” or they felt better and didn’t think it was necessary to go ahead with the rest of the dosage and put the medicine away in case they felt the same symptoms again. I get even more frustrated when their medicine involves antibiotics. Antibiotics are relatively new in the medicinal industry. Ancient Egyptians recorded medicines that look similar to our anti-microbial formulas, but the real antibiotics we know today weren’t invented in 1928. Since then, it’s helped so many people survive bacterial infections without undergoing extreme treatment. However, due to its properties and the bacteria it’s against, pharmaceutical companies have to keep innovating antibiotics to keep them effective. And when you choose not to finish your antibiotic dosage, you’re making it more difficult for pharmaceutical companies to keep it and helping bacteria strengthen its resistance. Antibiotics can be bacteriostatic or bactericidal. The first one slows the growth of bacteria by changing the environment the bacteria thrives in and hindering them from multiplying. This includes hindering DNA replication, metabolism, and protein production. When bacteria cannot reproduce, they will eventually die out.Bactericidal antibiotics, on the other hand, kills bacteria. In most cases, antibiotics prevent bacteria from building a cell wall, which breaks the cells’ composition and dies out. Penicillin is a common bactericidal antibiotic. Some antibiotics are a riskier option because it kills bacteria indiscriminately, also affecting the good bacteria around your body. However, some antibiotics only affect a few types of bacteria and are less harmful. Bacteria are single-celled organisms that can survive in various environments. As this moment, there are trillions of bacteria cells inside and outside your body. Some of these, such as the ones in your intestines, are good and can help you digest food and ward off harmful bacteria. Others, however, can cause bacterial infection such as strep throat, tuberculosis, and urinary tract infections. Viruses are much smaller than bacteria. Unlike bacteria which thrives in different environments, viruses need living hosts to survive and grow. While bacteria grow in your body and its presence disrupts your system, viruses infect your cells and produce more viruses to infect even more cells. These lead to diseases such as colds, AIDS, and measles. Antibiotics have no effect on viruses because viruses have a different structure to bacteria. When you have a serious condition, it may be difficult to tell if it is caused by bacteria or a virus. During these cases, it’s better to go to a doctor and get the right diagnosis. If you try to diagnose and treat yourself with antibiotics, you may be contributing to antibiotic resistance. Any form of antibiotic consumption can slowly lead to antibiotic resistance. This occurs when bacteria mutate to withstand antibiotic effects, becoming resistant and continuing to multiple since antibiotics cannot fight them. It is becoming a worldwide public health concern. When a person misuses antibiotics, the bacteria – not the person – becomes immune to antibiotic effects. These bacteria can spread to other people, which in turn helps the bacteria in the new person’s body develop a resistance as well. When you use antibiotics with viruses, it not only fails to cure your illness but it also unnecessarily exposes some bacteria to the antibiotic, giving it another chance to build up resistance. Or when you decide to stop taking antibiotics even if you still have missed doses, you could be allowing weakened bacteria to recover, build immunity, and spread even stronger than before. Some bacteria have learned to neutralize the effects of antibiotics, while others have learned how to expel antibiotics outside the bacteria before it can do harm. In many cases, bacteria form a harder cell wall to penetrate so antibiotics cannot reach the bacteria. In these cases, bacteria survive due to exposure to antibiotics. If even just one cell manages to become resistant, it can multiply and spread immune bacteria cells. It’s very similar to Darwin’s Theory of Evolution by Natural Selection. When non-resistant bacteria die from antibiotics, there’s more room and resources for bacteria that survive to thrive, grow, and produce more bacteria stronger than before. When antibiotics are no longer effective, people will experience longer and more complicated illnesses and must see a doctor more often. They may have to use stronger antibiotics, which is generally more expensive than simple antibiotics. It could, in serious bacterial infections, lead to more deaths or serious health conditions. As of now, bacteria that have become resistant to antibiotics according to the U.S. Food and Drug Administration (FDA) include bacteria that cause skin infections, meningitis, sexually transmitted diseases, and pneumonia. It has become such a serious issue that global health organizations are finding ways to address the epidemic. Some of these include antibiotic resistance awareness and promoting vaccinations, which could make you and your family immune to viral and bacterial diseases and forego the need for antibiotics. According to the Centers for Disease Control and Prevention (CDC), antibiotics cause side effects leading to antibiotic resistance. 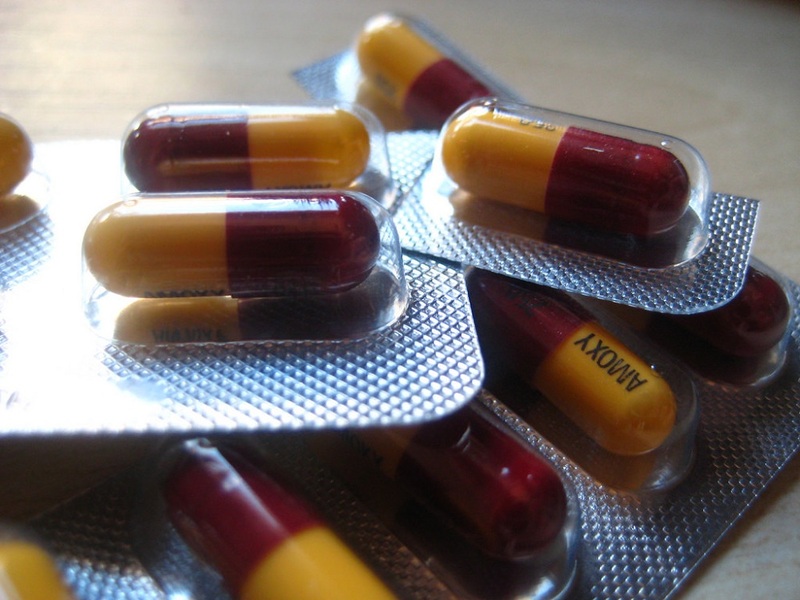 Given that bacteria are constantly evolving, antibiotics must meet these changes. However, by misusing drugs, you are speeding the process of resistance and making it harder for antibiotic manufacturers to keep up. 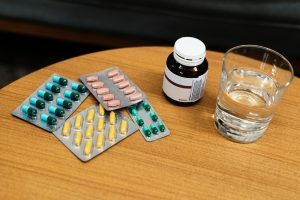 In 2017, an analysis in the British Medical Journal claimed it was unnecessary for people to finish their antibiotic dosage and should stop when they feel better. 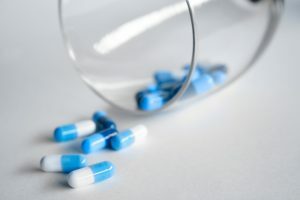 It claimed that antibiotic resistance was not supported by the evidence, and that taking antibiotics longer than necessary could increase the risk of bacteria mutating. However, the World Health Organization (WHO), the CDC, and the FDA continue to strongly recommend patients finish their dosage. WHO claims there is a lot of research on antibiotic resistance, with scientists trying to stay ahead of bacteria to keep medicine effective. 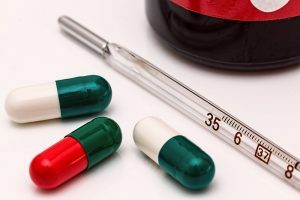 There is a lot of research into how long antibiotic treatment should be, and when doctors prescribe antibiotics, determine the shortest possible time needed to completely kill harmful bacteria. If you are currently taking antibiotic medicine, it’s best to follow your doctor’s prescription until you finish the dosage. Your doctor knows what they are doing, so if you are being treated for a bacterial infection, the length for the most effective antibiotic usage with the least amount of side effect is based on the latest evidence. The act of simply feeling better does not mean the bacteria and the infection is completely gone and stopping treatment could cause it to grow back even stronger.